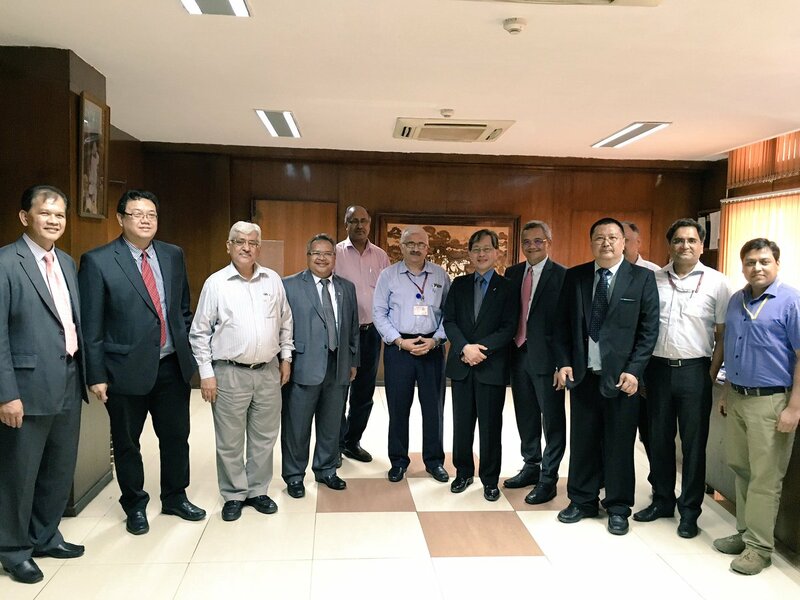 In connection with Station Redevelopment Program, Malaysian Delegation visited Rail Bhavan 18th July, 2017 and had a meeting with the senior officials of Railway Board. In the meeting, Malaysian Delegation has shown their interest in redeveloping 07 stations out of 23 stations which are Udaipur City, Indore, Howrah, Faridabad, Secunderabad, Bandra and Pune open for bidding. In the first phase, 23 stations will be bid out some of which includes Chennai Central, Ranchi, Udaipur City, Indore, Yesvantpur, Bangalore Cantt., Visakhapatnam, Howrah, Kamakhya, Faridabad, Jammu Tawi, Secunderabad, Vijayawada, Kozhikode and Bhopal. The Secretary General Works Government of Malaysia Dato Sri Zohari Haji Akob, who is also Nodal Officer for Projects investment in India, led delegation along with High Commissioner of Malaysia in India attended meeting at Rail Bhawan. The redeveloped stations will provide amenities and services to the passengers in line with best in class railway stations. The stations will be redeveloped through public-private-partnership (PPP) model without straining Railways’ finances. Railways will provide approximately 140 acres of encroachment free land at these stations to the developers on a 45 year lease. Indian Railways has also appointed nodal officers in each zone to ensure smooth interactions with the developers. The phase is expected to be of approximately Rs 6000 -9,000 Crore in size. Boston Consulting Group (BCG) is the strategic advisor for this program and based on the commercial assessment conducted by them and several rounds of discussions held with the developers and zonal railways, Indian Railways team is confident that the round will generate sufficient market interest. The redeveloped stations will improve passenger experience by providing amenities like digital signage, escalators / elevators, self ticketing counters, executive lounges, luggage screening machines, walkways, holding areas for passengers, grand and distinctive roofing and flooring, free and paid Wi-Fi etc. The program will benefit more than 100 cities and 16 million passengers per day across the country. Moreover, the commercial development undertaken near the stations will become nerve centers of the city and provide quality retail, commercial and hospitality development. Railway Board has devised an innovative plan to provide these amenities through PPP model by leveraging the real estate available at the railway stations. With an overall size of 1 lakh crore, the program is one of the largest PPP program undertaken in the country. The program will provide approximately 2,200 acres of prime land to the private developers across top 100 cities of the country. A committee of eminent experts would be formulated to provide suggestions to Zonal Railways on proposals submitted by bidders in addition to the technical and financial committee recommendations. Commercial potential of this vacant Railway land at/near stations will be leveraged to develop world class stations with no additional funding required from the Railways. The program is expected to generate a surplus in excess of ₹ 10,000 Crore for the Indian Railways which can be invested in other modernization projects. Select high potential stations will be made as iconic stations and will be developed as per highest global standards and design norms. To maximize commercial potential of the public assets, Indian Railways plans to bid out the projects through a transparent and competitive method. Taking cue from global best practices, Indian Railways has adopted the so called “modified Swiss challenge” methodology for the bidding process. Indian Railways has reached out to the private developers and investors through road shows in Delhi, Mumbai, Kolkata, and Abu Dhabi to gauge market interest and receive feedback on the bidding process. Railway Board has also engaged with the zonal railways through multiple workshops to accurately assess land availability. After the first phase, 100+ stations are expected to be launched in Phase 2 and the remaining A1 and A stations will be launched in Phase 3 of this program.